A Disc Jockey for your special occasion to professionally mix and blend multiple genres and styles of music. Understanding the event, and reading the crowd, the DJ will set the tone for the entire event. Enhance the look of a room with a stunning visual that will grab the attention of everyone in attendance. Monograms can be of various sizes and designs and can be placed in many locations within a room. A private magical box providing a fun way for your guests to take home and share the memory of your special occasion. Our booths take a series of three separate pictures, either in Color, Black & White or Sepia. Photo-booth photographs are automatically printed 10 seconds after being taken and dispensed into the hand of the user. Planning a event can be a stressful affair, but it doesn't have to be. 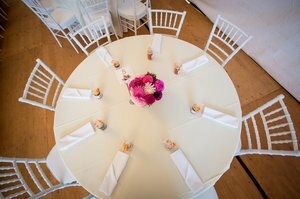 We take the time to ask the questions in order to make the recommendations that makes your event exactly as you envision. If you're working on a budget, we can help you save money by recommending preferred vendors and helping you stick to your budget. A few hours of key consultation might be exactly what you need. Lighting fixtures installed at ground level that are used to create or compliment a particular theme or ambiance. These lights are made up of red, green and blue individual LEDs that, when combined in different intensities, blend together to create just about any color you can Imagine. 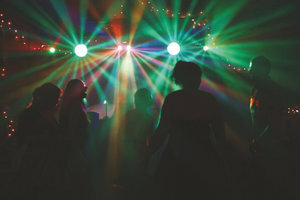 We offer a wide variety of laser lighting, LED lighting, and dance floor lighting that allow you to create an environment that matches your event or special occasion.